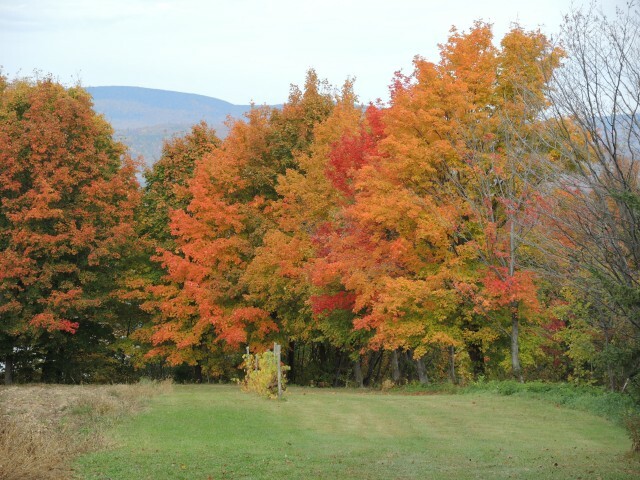 What is a “Leaf Peeper?” That is a term coined in the last few years to refer to those who travel to eastern Canada or New England between late September and the end of October to marvel at the magnificent beauty of the changing autumn colors. 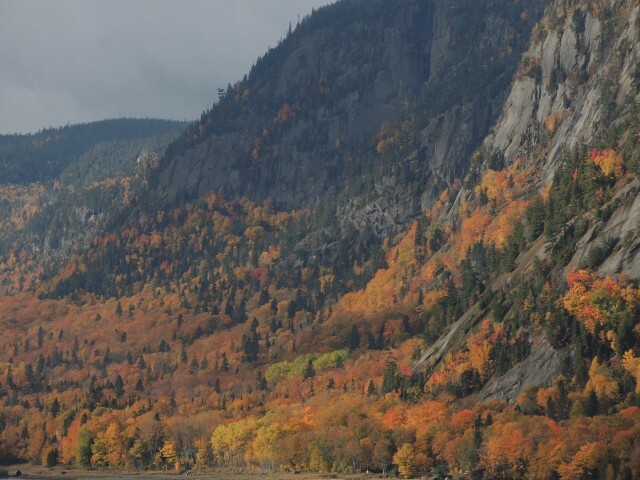 Leaf peeping has become a multi-million dollar travel industry in eastern Canada’s provinces of Ontario, Québec, and the Atlantic Provinces. It also applies to the hundreds of thousands of people who tour upper New York State and New England. For the past decades, such tours were normally road trips, people simply motoring along the back roads and byways to view the progression of changing colors, staying at quaint country inns, and also enjoying the cultural flavor of these locales. Then the cruise ship industry decided that it could become a part of this seasonal activity by providing excursions between New York or Boston and Montréal, stopping at such ports as Portland and Bar Harbor, Maine; Saint John, New Brunswick; Halifax and Sydney, Nova Scotia; Charlottetown, Prince Edward Island; and then visiting Gaspé, Saguenay, Québec City, and other smaller ports along the mighty Saint Lawrence River in Québec. The itineraries caught on, and today people book up to a year in advance to take a 10- to 12-day cruise during this “magical” season. If you have ever wanted to see the splendor of this seasonal spectacle and do it via the ease and luxury of a cruise ship, now is the time to book for 2016. What is it that makes this part of the world so special with regard to the changing of the colors during the autumn season? The color change is brought about by a combination of factors, including the length of the daylight period, the dropping of temperature starting in mid-September, and the amount of moisture in the soil. Broadleaf, deciduous trees dominate the region, that term being in reference to trees that shed their leaves at the end of summer to prepare for the chill of winter. 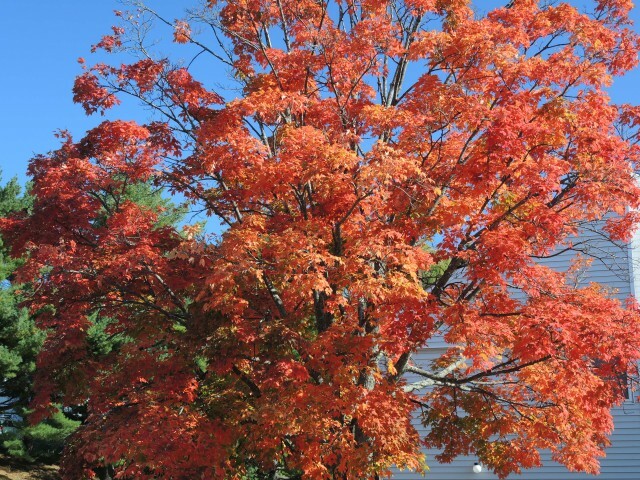 Each species of deciduous tree has its own prerequisites for changing color, and the end result is a myriad of shades with sugar maples providing the richest and most pulsating reds. All of the physical preconditions necessary to bring about vibrant colors such as the species of trees, the soil, and moisture conditions and the fact that much of the forest cover remains combine to create landscapes that burst forth with reds, oranges, gold, and yellow in a profusion of shades. What is the advantage of cruising along the coast and up the Saint Lawrence River over taking a road trip through the region? A cruise ship provides the luxury and comfort of a fine hotel and you need to only unpack one time during the trip. There is far less stress in simply walking off the ship in each port and then going on a tour coach or exploring on your own for a day, then returning to the elegance of the ship. The cost of a cruise is no greater than that of spending the same number of days traveling up to a thousand miles or more, purchasing fuel, eating all your meals in restaurants, never knowing what level of quality will be provided, and staying in hotels or inns that are not always as advertised. You travel close to shore much of the time and can enjoy the landscape without having to watch the road, following map directions, and being cramped inside an automobile or crowded onto a bus if you are on a multi-day motor coach tour. The time of year that you choose is critical when it comes to maximizing the color experience. Cruises often begin in mid-September, many of the ships making a Transatlantic crossing, repositioning of the ship from either the Baltic or Mediterranean market ultimately to the Caribbean. Often times on the actual repositioning cruise you have a 50 percent chance of not seeing much, if any, color because it is very difficult to predict the start of the transformation. If you choose the latter cruises, say starting in mid-October, your chance of experiencing the peak of the color season is better, but those cruises sell out quickly. In 2015, I was on board the Silver Whisper from September 8 to October 26, making the Transatlantic crossing followed by three cruise segments between Montréal and New York City. It was only on the last segment that began October 15 when the colors simply exploded almost overnight. But 2015 was an atypical year. I have also seen the reverse in the past during other uncharacteristic years when the color change occurred in mid September and was over by the end of the month. Thus it is always a gamble as to being there for the peak period of brilliance. From a cultural perspective, Montréal and Québec City are the two most exotic ports of call for most English-speaking guests. 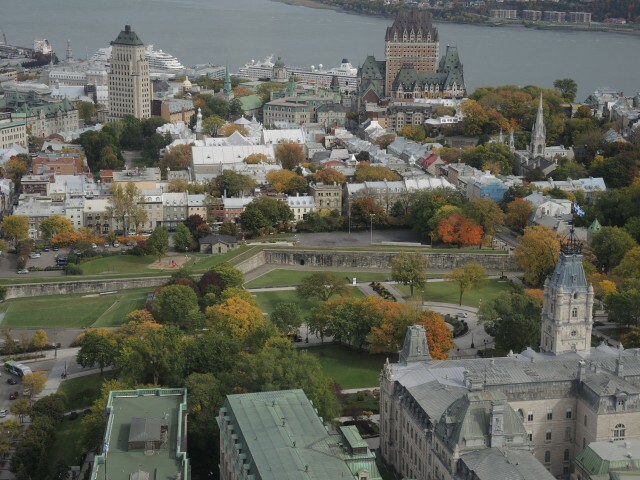 The Québecois lifestyle, architecture, and cuisine combine to give these ports a very strong European flavor. Halifax comes as a surprise to many because it has blossomed into a sophisticated and vibrant port city. And then there is Boston with its strong “Yankee” atmosphere steeped in early American history. Smaller ports of call such as Charlottetown or Saguenay offer a chance to experience a Canada that is both charming and serene. 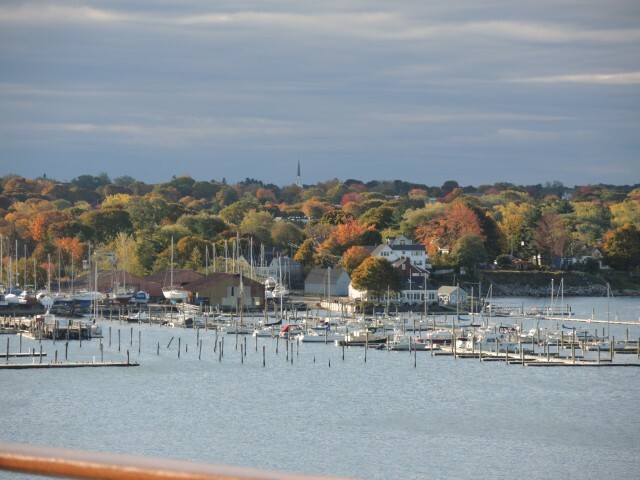 And enveloping the entire cruise is the majesty of the brilliant trees that at times appear to “glow” in their autumnal dress if you are fortunate enough to be there at the peak time. Now is the time to consider an eastern Canada and New England autumn cruise before the best dates and choicest cabins are gone. It will be a cruise to remember.